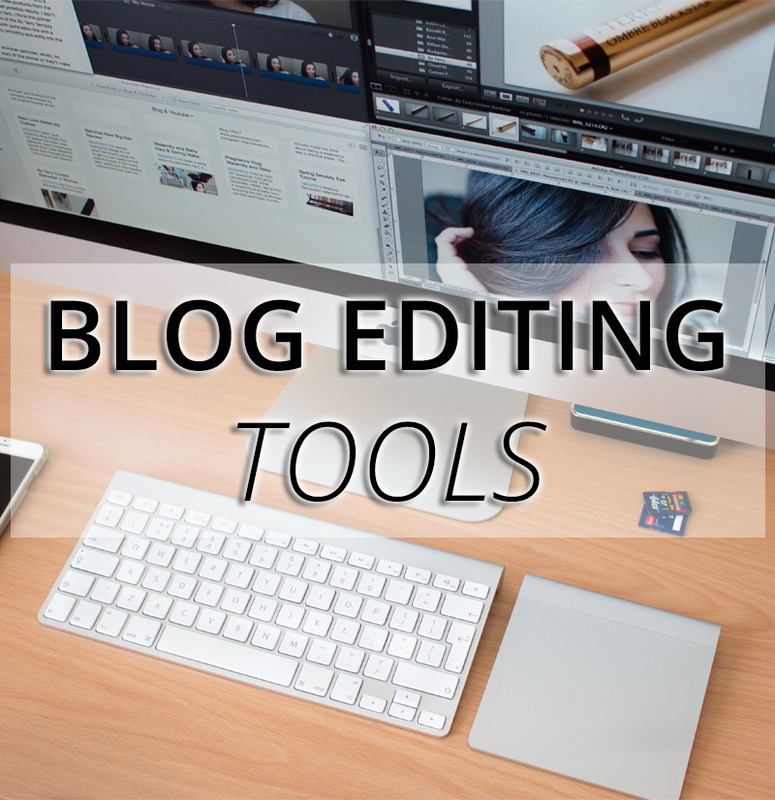 My Essential Blog Editing Tools - Lightroom, Photoshop, iMovie, Evernote and more! Everyone has certain tools and softwares their like using when it comes managing their blogs – today I’m sharing my Essential Blog Editing Tools. These are my ‘blogging best friends’, which help me run my blog effectively and in an organised way. Most of these tools I’ve used for years and I need them on a daily basis to take me through every step of creating the content that you see here on my blog. From drafting, sketching, organising, managing, writing, editing, importing, exporting, transferring to publishing, these are the computer software programmes and apps I use on my iMac, Macbook Pro, iPhone and iPad (yes, I’m a bit of an Apple-addict) and I wouldn’t know what my blogging workflow would be without them! I won’t go into detail of how to use each of these tools, but if that’s something you would like to see, give me a shout and I can definitely do separate posts on each one of them, showing you exactly how I use them. The next instalment of this series will be about my Blogging Kit, so make sure to check back here to see what devices, cameras, hard drive and accessories I use to keep for blogging. Now let’s get to the all-important Blog Editing Tools! Lightroom is a powerful file management and editing system. Once I started using it, I never looked back! Gone were the days of using iPhoto to import and edit my pictures, and ending up with duplicates of everything stored somewhere obscure inside my computer. With Lightroom, everything is stored exactly where you put it, and this is where my workflow starts. I import all of my photos and videos from the SD card into my Lightroom Catalog; not only does Lightroom help keep my files organised, but the starring system makes it so easy to sort through hundreds of photos before deciding which ones will end up on the blog. I also use Lightroom to do 99% of the editing on my pictures. I much prefer using Lightroom instead of Photoshop for adjusting the lighting, white balance, sharpness and other little bits and bobs. I have a few presets with standard settings for quickly editing different groups of photos (portraits, product photos, swatches, etc), but I always make sure to tweak every photo individually, just in case the preset doesn’t suit a particular photo. I use Photoshop mostly to add captions, create collages, crop my images to a fixed width so they all look uniform on my blog, save and rename all my files ready for uploading them to the blog – these are the essential things I think Photoshop does best for me and now that I’ve been using it for over 5 years, I can get through a batch of 15-20 pictures in under 10 minutes. I used to do all my editing fixes in Photoshop, but now that I’ve been using Lightroom for over 2 years, I find it much easier and user-friendly than Photoshop, although Photoshop is more than capable of handling all the editing as well, if you prefer to use just one software for your editing needs. 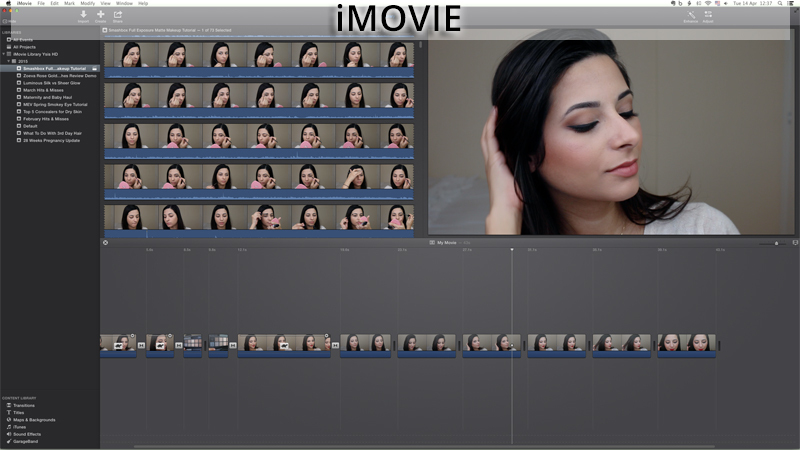 I use the latest version of iMovie to edit and export my videos, ready for uploading them to YouTube. iMovie is the basic movie editing software that comes with all Apple computers, but if you want something more professional and with more variety you can buy Final Cut Pro. A few months ago, I downloaded the free trial version of Final Cut Pro, but I must admit I didn’t find it as easy as iMovie to edit my videos. For basic video fixes and editing, iMovie has been more than satisfactory and extremely easy to use, however it’s very limiting and I’m sure I’ll end up making the transition to Final Cut Pro at some point, just because it gives me more creative freedom and I really enjoy the process of editing my YouTube videos. I use both of these text editors to draft my blog posts before I copy them into my WordPress interface. I much prefer writing and storing my content offline, where I know I won’t lose it if I’m internet connection decides to fail on me, or if I close my browser by mistake – that was a lesson I learnt the hard way after having accidentally deleted blog posts and not being able to do a Cmd+Z to recover the lost content! TextEdit comes with all Apple computers and it’s a plain and simple text editor that allows you to store your drafts in your computer or in iCloud, so you can pick up where you left off on your desktop or laptop. I’ve recently swapped to Evernote for writing my blog posts because it also allows me to continue writing from my iPad and iPhone, so everything is kept updated in real-time across all of my devices, which I find very useful for working on-the-go. 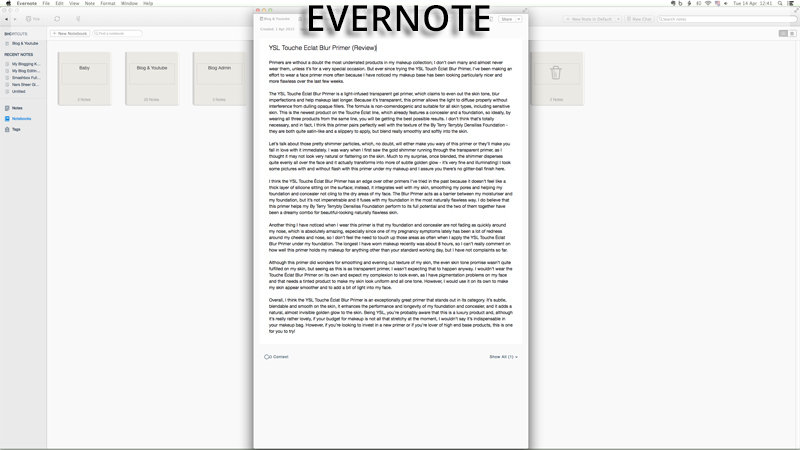 You can download the Evernote apps for Mac, iPhone and iPad for free, and it keeps all my documents organised in Notebooks – it’s definitely one of the my favourite apps for increasing my work productivity and to help me sort through my blog post drafts and ideas. Box is my Cloud service of choice for moving files, pictures and videos across my devices, like when I need to get a picture from my computer to my iPhone so I can upload it to Instagram. I have apps on my iPhone and iPad, and a Box folder inside my computer that syncs automatically with my Box account, so I don’t need to faff about with emailing things to myself or even having to open my browser to transfer files – it’s all very easy and stress free! 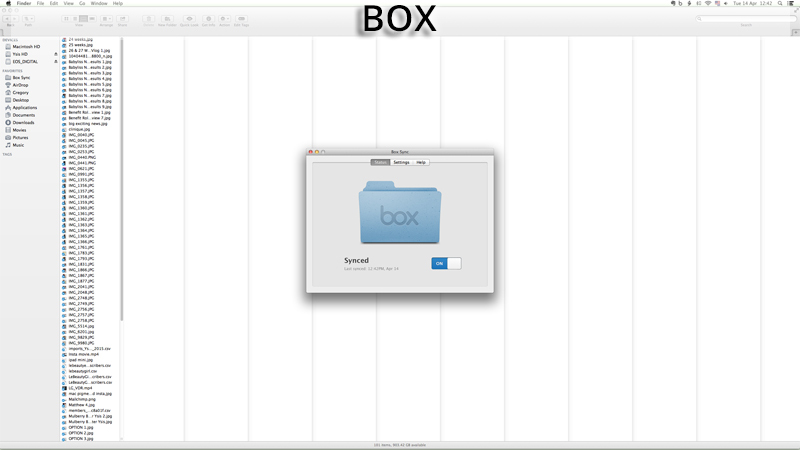 Perhaps the most famous rival of Box is Dropbox, but having used Dropbox for a few years, I much prefer the way Box works and also that you get 10GB of free Cloud storage with Box, instead of 2GB with Dropbox. When I discovered Box, I was lucky enough to sign up for it when they were giving away 50GB of free storage, so I have plenty of space to move my files between my devices. The only downside of Box is that it can be very slow to sync large files, like videos, and it has a limit of 250MB per file, but apart from that, I highly rate and recommend Box if you are constantly transferring things to and from your phone and computer. So that’s basically everything that I use to edit and manage my blog! I would not be able to run my blog effectively without any of these tools, so I wholeheartedly recommend all of them to any blogger looking to better manage their blogs’ workflow. I know there are free or cheaper alternatives to some of these tools that do just as good of a job, but I find that it’s largely a matter of personal preference, and if you’re comfortable and confident using certain tools, just use whatever is best for you and improves your blogging work. I would love to hear your recommendations for Blog Editing Tools that you use and that you think are essential to helping you run your blog! I’m always on the hunt for new tools and I think it would be interesting to know what bloggers use on a daily basis to manage their blogs. This was a great post ! I learned a lot specially on textedit is like notepad (pc), I use PAGES ( MAC) to kinda get my blog started. Found it was simple to use on my iPad enough when I’m on the go or not near my laptop. 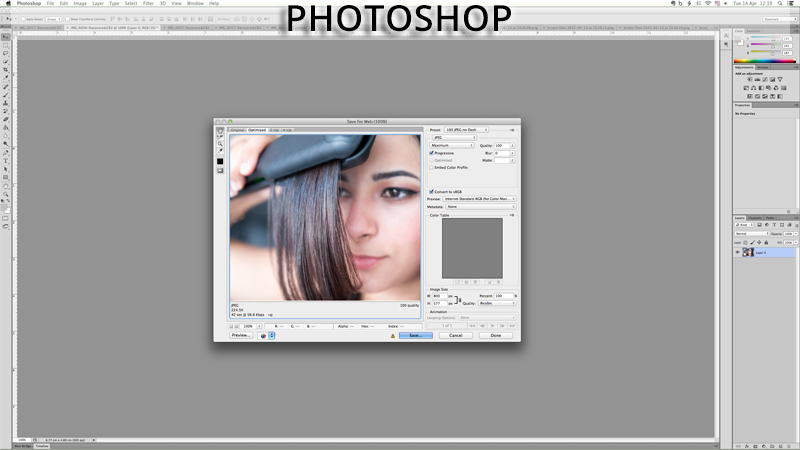 For people that can’t afford buying Photoshop because I priced it out kinda pricey. There are APPs for your MAC that do the same things I found. Pixlr is a great photo editor that I use to watermark my photo’s and crop if need, than there is Paint 2 that is similar to photo shop. They are great alternative to the ones above, don’t get me wrong I’ve used photoshop and I love it! Thanks so much for making such a great post !! 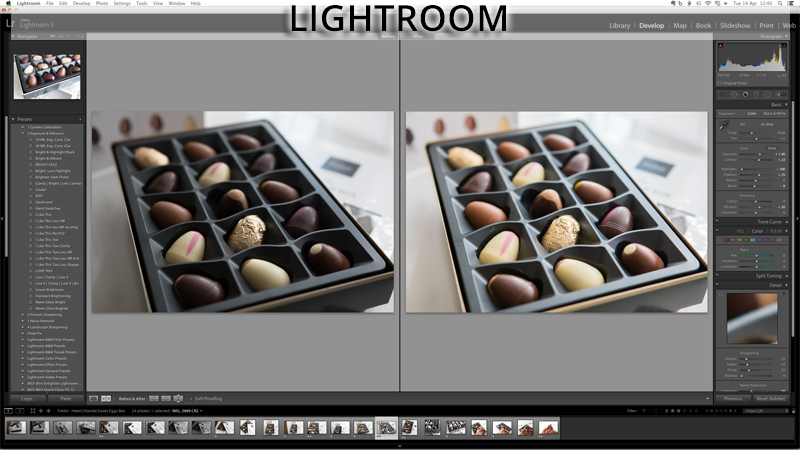 Hoping to get lightroom next week – glad to hear it sounds like a good investment! Thank you for this information!! –definitely very helpful (: I’m always looking for new software or programs to make my blog better!